The Islamabad Federal Police has invited applications from both male and female candidates at various designations in the department. This is a excellent career opportunity for all the willing candidates that are interested in this field. So it is strongly suggested that all the interested applicants send their registration forms to the relevant department till the last date of registration because the form received after the due date will not be entertained and you will loose a wonderful employment opportunity. 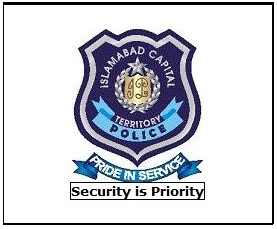 Islamabad is the capital of Pakistan and the purpose of Islamabad police is to maintain the law and order in one of the most important cities of Pakistan. Introduced in 1981, Islamabad federal police has to make sure that all the rules and regulations are being followed in the city and no one is breaking the law. 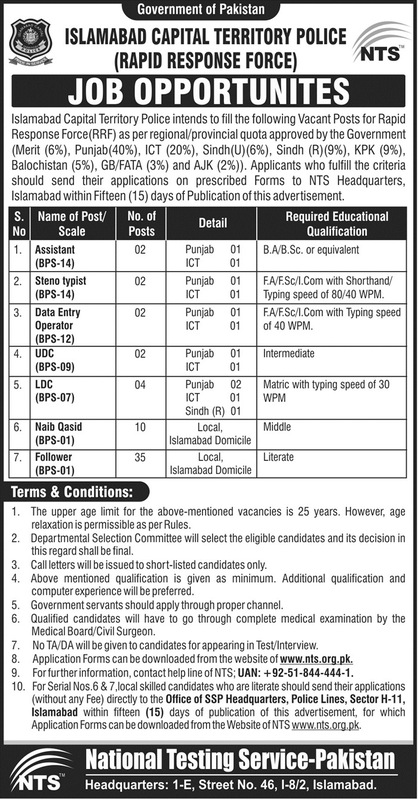 So now its your chance to join the Islamabad Police as a Assistant Sub Inspector/Lady Assistant Sub inspectors (BPS-9) and constable/Lady Constable/Driver Constable (BPS-5). But in order to do so, every interested applicant will have to fulfill a certain eligibility criteria that consists of some specific requirement related to age, education, height and chest. The date of the registration and further tests has not been announced yet by the official authority of Islamabad Federal Police but it is expected to be released very soon. So keep visiting us as the registration date, process and further details about these jobs will be available here on this page immediately after their first official announcement. The applicants will have to clear a 1 mile race within 7 minutes along with a written test and interview for recruitment. All candidates are strongly advised to bring their original certificates, National Identity Card and Domicile at the time of test. Requirement related to eligibility are must to be fulfilled. The applicants must be have age between 16 to 26 years till the 1st January of the year. There is a reserved 10% for females and 5% for minorities quota. The applications must be received till due date otherwise they won’t be considered. Assalam-o-Alaikhum! Please give this job!